Make the most out of your excursion to Barcelona by tasting a wide variety of the best Spanish wines and tapas. • Enjoy a guided walking tour of Barcelona, visiting the most typical wine and tapas places. • Throughout the trip, you will be accompanied by a welcoming and appealing wine ambassador. • Enjoy wine tasting from different wine regions of Spain. 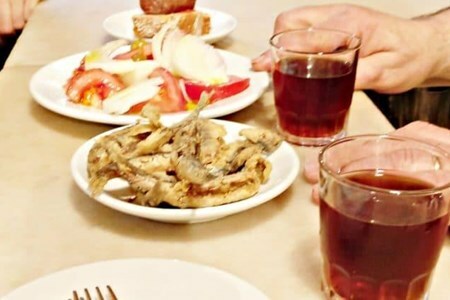 • The tour includes proof of classic tapas from Spanish provinces. Appreciate the variety and intricacy of the artistic community of Barcelona while enjoying the varied wines of Spain paired with tapas on this walking tour to the wine regions of all Spain. Our charismatic and friendly wine ambassador will take you through the different wine regions, where he will welcome you to taste wines accompanied by a tapa. Learn how to taste wine and how to pair wine with tapas. Enjoy five different wines and at least five matchings of tapas over the course of a two-hour journey on foot. On this tour around Spain, we are dedicated to offering a wine tasting, which is the best way to experience all the flavors of the wines from the different Spanish wine-growing areas. The tour will commence in a particular place, which is the gastronomic center created on the philosophy of food. It offers food and wine tours to the food lovers and the travelers touring Barcelona. Here will you be offered a wine tasting. The tour continues by visiting local bars, where you will be served with a glass of the most elegant wine and delicious tapas. We will go to the surrounding neighborhoods, where will sample delicious wines, enjoy the present-day cuisine and find out great wine bars. Your family and friends can join this tour and enjoy these delightful hours. • The tasting tour will be among the significant shops offering healthy traditional sweets. • This is a small group tour, limited to 15 individuals. 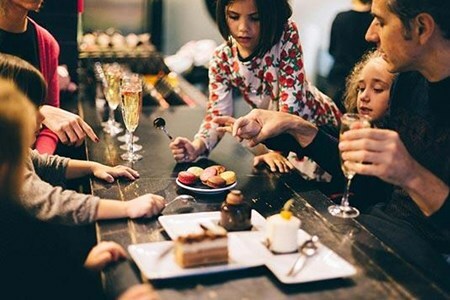 On this tasting tour, the group will visit some of the top quality shops specializing in sweets, chocolate, patisseries, and cafes in the city of Barcelona. We will guide you through the sweetest tour in Barcelona. Satisfying your taste buds is the primary goal of this tour of sweets and chocolates. You will have the opportunity to tour the “sweetest” places in the city, situated in the Born and Gothic areas. We will also delight in ten different tasting experiences from an assortment of Spanish “melindros” and churros. In this excursion, you will have a walk through the beautiful narrow streets where the Guild of chocolate was formed, many years ago. This is a small group tour, up to a minimum of 15 individuals only. This will ensure you will receive personal attention from your local guide. Our knowledgeable tour guide and food expert will guide you through this delightful walk that will not leave anyone unattended. Enjoy more than ten tasting experiences from chocolates to sweets and drinks. End the day with a mesmerizing Flamenco performance at Barcelona’s best theaters. Also, experience the passion behind Spain’s most famous dance style. 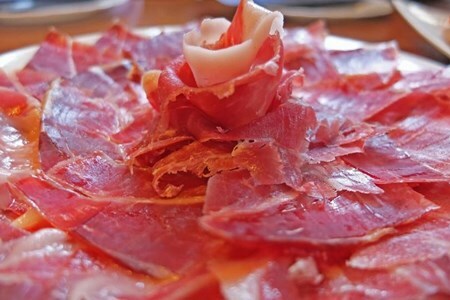 • Engage in a private exclusive three-hour tapas and flamenco tour of Barcelona. • Explore the highlights of the Gothic Quarter with an expert local guide. • Take a walk along the famous Ramblas. • Enjoy the sounds, dance, and passion of a live flamenco show. On this enchanted, interactive private tour in Barcelona, you will learn both Spanish and Catalan cultures by enjoying many guided experiences. Guided by a local expert, as a group, you will first visit the Gothic Quarter (Barrio Gótico), a community with over two thousand years and rich in history. You will severally stop by along the way, with your knowledgeable guide enlightening you with fascinating facts and stories behind each significant historical landmark. Then at your own relaxed pace stroll along La Rambla, the well-known street of the city of Barcelona. This avenue is lined with trees and traditional flower stalls. There are also many street performers, typical restaurants, and high café terraces will make you feel like you are walking in a painting. After lunch, we will stop at some classic tapas bars to enjoy original local specialties. Discover all about the unique ways in which Catalans altered the traditional Spanish tapas to make them their own. You will also sample an assortment of delicious tapas with a refreshing cold drink of your choice. Before the tour ends, we will head to a famous Barcelona theater, where a live flamenco performance will entertain you. Enjoy the traditional Spanish show, composed of acting, song, and passionate dance that goes way back to the mid-19th century. The show will be at the fabulous Tablao Flamenco in Barcelona’s downtown. This place is a favorite among flamenco novices and professionals alike because of it offers exciting warm atmosphere and interact with some of the most gifted singers and dancers of the city. Experience the passion, rhythm, and strength of the most renowned Spanish style of dance. Unique and characterized by rich culture, Flamenco has been included on the UNESCO List of Intangible Cultural Heritage of Humanity. We will first visit one of the most significant wineries in the region then head to one of the international wine producers in the world, and, finally, to a small family-owned winery making the most elegant organic wines. You are going to enjoy this memorable day in the center of the Penedes wine region. We will commence the tour at a family winery of Codorniu which is owned by a well-known, and the first cava producer in the region. The centuries-old wine producer is famous in both Spain and around the globe confirming the high quality of the wine produced. During this tour, you will experience the cava making process, and even discover the underground rooms where the very first bottle of cava was produced a hundred and fifty years ago. One of the barrels still has bullet holes made by some careless soldiers from the civil war. 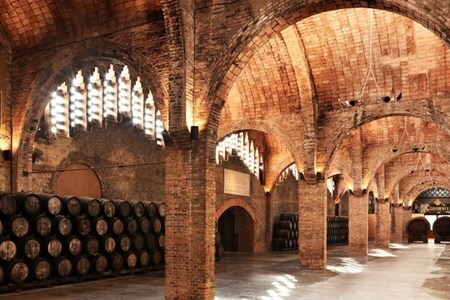 Part of the tour also entails visiting various winery buildings, which are a gem of the Modern industrial architecture. During this first visit, you will have an opportunity to see the most recent technical innovations in winemaking blended with the ancient methods of cava making. We will end the visit, by sampling the most delicious wines produced here. We will then visit a winery which will bring us to the past in every step, and every detail of wine making was done by hand. At this winery, wine value and the highest respect for tradition are essential. It produces beautifully aged cava wine which is rated by the professional winemakers to be one of the best sparkling wines in Spain. They pride themselves in maintaining the old wine making processes by using the minimal machinery in their wine making. Everybody working in the winery is either directly or indirectly related to the family. Lunch will be at the local village where you can have many lunch options to choose from. Although Pendes is most renowned for its excellent cava wine, it is far more than cava. After the delicious lunch, we will discover What Pendes is also well-known for by visiting an organic winery focusing on red and white wine production. At this family-owned winery, they produce excellent red wines made with Pinot Noir, Tempranillo, Cabernet Sauvignon or Garnatxa signifying that the soil and climate and of Penedes can make delightful red wines. This winery may be the last stop of the day; however the climax of the day will be tasting a wide variety of wines including white, red, white, cava and rosé. We travel back to Barcelona at around 7 pm. Come and discover the Barcelona highlights, in this guided city tour that takes you through the historical center! You will be astonished by the imposing buildings, monuments, and ... moresceneries that the magical city of Barcelona has to offer you! You will sample the most excellent tapas in a typical tablao! You will conclude your full day tour with a masterclass of flamenco! Discover historical facts and Barcelona’s iconic landmarks in this guided city tour. Partake an exquisite tapa tasting session in one of the most ancient Spanish tablao. Train how to dance flamenco with a bona fide professional and know the meaning of this moving dance. Barcelona is a magical city packed with contrasts, this is the city where; - history fuses with modernity, the sea meets with the mountain and the traditions with the most ingenious trends. This guided city tour gives you a chance to acknowledge the most iconic places of the city. The trip will start with a sweeping tour through the beautiful Paseo de Gracia, where you will discover; - the iconic buildings of Casa Batlló, Gaudí, and La Casa Milà (La Pedrera) as well as other magnificent ultra-modern buildings. Afterward, we will head to the sea to appreciate the variations observed in the city following the celebration of the 1992 Olympic Games. 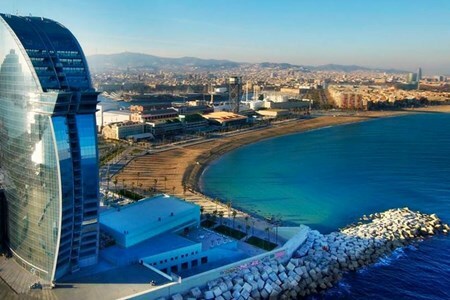 You will discover multiple iconic buildings such as; - the Olympic Port, the citadel park, the Arc de Triomphe, the Olympic village, the beach and the region of fishermen of the Barceloneta, the Port Vell. At the Plaza de Colón, you will discover the Columbus monument, it is here that the iconic Ramblas promenade starts. Afterward, we will head to the mountain of Montjuïc, the loveliest mountain in the city of Barcelona! In this mountain, we will discover the Lluïs Companys Olympic stadium, where we will make a short stopover. Later on, we will ascend to the cable car station adjacent to the Montjuïc Castle to experience an aerial ride with a breathtaking view of Barcelona. You will discover the Poble Espanyol, a real open-air museum. This museum offers you an exquisite array of legendary constructions from all over Spain. Finally, we will head back to the city center, where we will pass through the picturesque Plaza de España. Here you will get the chance to admire; - the fountains of Montjuïc, the Torres Venecianas, the MNAC and the CC Las Arenas constructed on the ancient Plaza de Toros. Then it will be the time to start our guided walking tour in Plaza de Catalunya via the city center; - the Cathedral Square, La Rambla, the alleys of the medieval Quarter and the Plaça St. Jaume. The first part of the tour will culminate in Plaza de Catalunya, facing the Hard Rock Cafe. At around 2:30 PM, we will take a walk to Las Ramblas, nº 35 (Tablao Cordobés) to start the tasteful second phase of this amazing full day tour. Established in 1970, this masterclass is regarded as one of the most crucial in the world, by the most taxing inventive minorities. It has accomplished a great international reputation. Here you get the chance to sample the best tapas in exclusive dining rooms overlooking the vibrant Ramblas of Barcelona. Tablao Flamenco Cordobés offers you double tapas tasting experience; - typical and vegan, made on request. The tapas are authentic and delicious. They are prepared in accordance with Spanish traditions, to bring freshness which presents new and amazing harmonies on the table! The experience is accorded an excellent service that is accredited for serving and representing part of the flavors. You will be served a glass of; - wine, beer, Sangria, soft drinks, water or juice. The two services include at least 10 types of traditional tapas of Spanish gastronomy. From the bracing Andalusian salmorejo to the magnificent Feira de Galicia octopus. This experience enables you to taste; - Tapas, Salads, Rations, Pintxos, and Desserts. After you finish the Tasting session of Tapas, you will head to Tablao to enjoy a true Flamenco Masterclass. The Masterclass is conducted by a carefully selected cast of internationally celebrated artists. The class concludes with a brief choreography performed by the assistants on stage. This spirited venture will allow the audience to understand and feel the definition of flamenco, through a special experience held in the most real and ancient flamenco tablao in Barcelona! We invite you to visit the best gourmet shops where you learn about the Catalan gastronomic culture, an indispensable ingredient of the Catalan cultural heritage. You will discover ... morethe flavors of Barcelona, a global leading gastronomic capital. You will enjoy the services of a local guide who will take you to the magical corners of Barcelona on a trip that combines vanguard with tradition. You will explore the typical Boqueria Market, a favorite spot for all foodies. The markets of Barcelona are the most vibrant meeting points of the city, bringing together the most reputable chefs who come early to personally pick the finest products, as well as the surrounding payesas who bring their vegetables and fruits from their gardens. The tour finalizes in "Just Royal BCN" in Plaza Real, where Chef Alfredo Rodriguez will meet you for the culinary class. You will discover the professional secrets of Spanish cuisine in Barcelona, resulting from your hands-on experience. You will have a tasting from a thrilling menu that includes potatoes "Bravas" with three sauces, Spanish omelets, Seafood Paella, mussels with salsa and traditional croquettes. Seafood paella., Potatoes “Bravas” with three sauces, Spanish omelette., Mussels with salsa, Traditional croquettes and Catalan cream. Spain is famous for its diverse and impressive display of tapas delicacies that combine seasonal and fresh products with Mediterranean finesse. 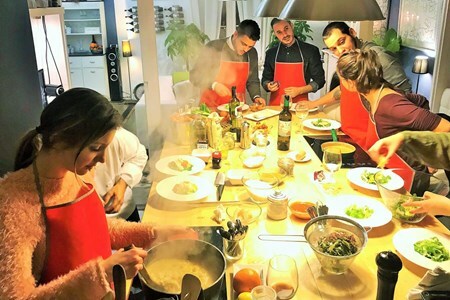 This tour gives you a chance to add ... morea twist to your experience as you learn how to prepare typical Spanish cuisine on your own with Just Royal BCN's cooking workshop. Located in the charming Plaça Reial, this spirited and interactive experience comprises of an exploration around the classic market, La Boqueria, followed by a hands-on culinary class with the friendly Chef Alfredo Rodriguez. The chef is renowned for his entertaining persona, undeterred by the language barrier, while it brings originality and authenticity to the workshop. Janelle, his translator, and right-hand woman facilitate communication between parties. Alfredo is very good at narrating the fascinating history of Spanish cuisine as he instructs throughout the class. The experience starts with a non-mandatory trip around the adjoining La Boqueria. The La Boqueria boasts a variety of diverse blend of aromas and top-quality produce which makes it flock with tourists. You will require the services of a local guide to take you through the hustle and bustle. The guide will narrate to you the tales about the sellers, as well as the history of Catalan traditions and its gastronomy. You will be introduced to the fully stocked kitchen with premium chef-approved products, where the workshop will kick off with a tasting session. The sampling menu, all carefully and perfectly prepared by Alfredo, consists of an impressive listing of ten tapas, that originate from varied cities within Spain. Melt in your mouth croquettes, appetizingly garlicky prawns, and "feira" (octopus) are amongst the range of mouth-watering dishes all served and presented to the highest levels of standards by the charming chef. You will be vexed to find tapas on par with Alfredo's standards in any part of the Catalan capital. After being allured with succulent flavors, you will acquaint yourself with the essential basics of Spanish cookery. 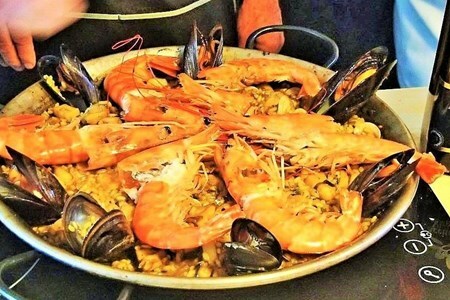 This experience is ideal for all skills, from cooking enthusiasts to kitchen novices, will enjoy training how to prepare Just Royal BCN's regular menu of seafood paella, Spanish omelet, and the popular 'crema catalana', a local favorite. This collective cookery experience will enable you to master the art behind the craft of tasteful Spanish cooking. The experience will also give you a chance to fraternize with fellow foodies, or just to enjoy passing time with a loved one. The workshop is steadily assisted by a limitless flow of wine, making the cooking experience and dining remarkably enjoyable. Once you complete the culinary class, you will be invited to a gastronomic dining space, exuding with taste and flair in their private lounge. Mealtimes in Spain are certainly not rushed. Therefore, in authentic Iberian style, you will enjoy a relaxed feast and roister in your new-found status as a connoisseur and chef of Spanish cookery. This tour will definitely offer you the best souvenir to take home with; the taste of Spanish Cuisine! Barcelona has everything from drinks to tapas to sunshine; however only a few tourists discover its incredible craft beer scene. The Barcelona craft beer tasting starts at a Bodega ... morein Palau del Mar, a previous industrial structure. Then head to La Barceloneta attractive streets where the beer industry is changing and where delicious tapas have been crafted. Along the tour, you will get to know about beer brewing, taste new and old beers. You will also get to learn how to pair beer with tapas to bring out the best aromas and flavors of each kind of beer. You will then find out the history of a mixed neighborhood and its relation with the city. The local tour guide will give insights to the town as well as funny stories about the city. The Barcelona Craft Beer Tasting experience includes one-kilometer walking and drinking through the Barceloneta District and two stops for tapas and beer. Each bar serves unique in beer and tapas, and some bars are modern while others have been brewing for generations. On this Barcelona brewery tour, we will visit carefully tasted six different beers, and paired each with an appealing tapa. The tour will also include a beer-pairing guide. We’ll drink an equivalent of two pints of beer, not enough to get you drunk, but definitely to make you enjoy the tour. 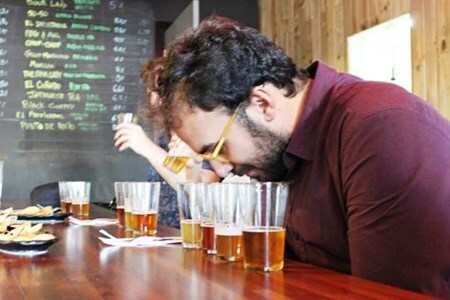 On this unique craft beer tour, we have partnered with an international beer sommelier, Jing Chen who has a vast knowledge in brews and how to pair them. She will accompany us on this beer tasting tour that includes the most important local beers. We make a stop at an unknown bodega to taste La Barceloneta world well-known tapa. You will have two seasonal craft beers together with a Gilda, a dish made from an ancient brew pub where locals meet and enjoy wine in barrels and tapas. On this tour, you will taste and learn about wines and tapas from the top wine-producing regions in Barcelona, Spain. 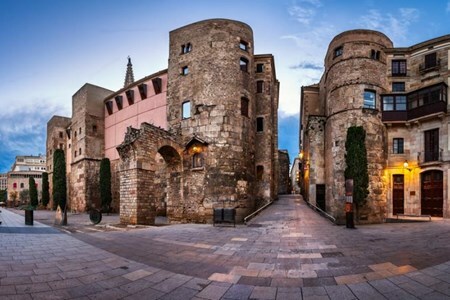 You will stroll through the amazing streets of El Born ancient ... moreneighborhoods in an exciting tour of the finest wines and cuisines from Spain and visit some of the rarely visited sites of Barcelona. The wine and tapas tour begins by introducing the traditions of the people of Barcelona. You will then visit an ancient Bodega where you will taste wine from barrels and eat fresh meats, manchego cheese. You will also be introduced to cavas, a sparkling Spanish wine. 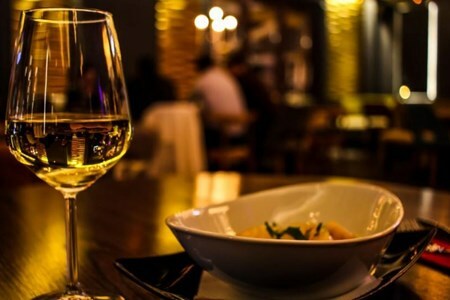 At the evening you will discover unique white wines at a wine shop while you learn how to choose the best bottle when purchasing wine and sample some complex Spanish red wines matched local tapas at a Mediterranean eatery. 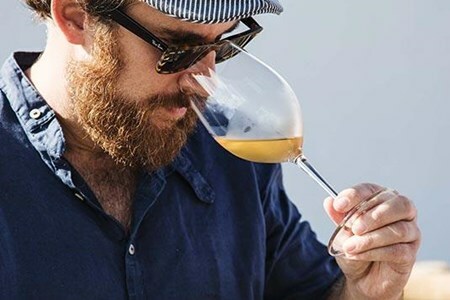 On this exciting food and wine tour in Spain, you will walk down the attractive streets of Barcelona while enjoying wine tasting in a ‘classroom’ setting and also relishing an enlightening tapas dinner. On this lovely stroll, you will be guided by a wine expert and enjoy being accompanied by local wine stewards at each restaurant. Join us for this unforgettable tapas and wine evening that is both a culinary experience and an introduction to Spanish wines, and essential wine and food pairing techniques. Taste excellent wines and delicious foods from Spain´s top wine-producing areas at Barcelona´s popular tapa, wine bars and bodegas. Visit an old Bodega where the local people purchase barrel wine and eat homemade tapas. Here you will feel the authentic vibes of the world of wines in Spain while sipping cavas and vermut. Wine and dine at an excellent restaurant that represents the Mediterranean effects on Catalan cuisine. Taste top red wines and tapas plus a pleasant surprise to finalize your tour. Barcelona – known for being an old Roman enclave, home to Antoni Gaudi’s famous Sagrada Familia, not to mention the world-renowned Barcelona FC, the Mobile World Congress, Summer Music ... moreFestivals, and trendy life!. But did you know that Catalan cuisine holds its own among the tastiest regions in Spain? That it is part of the Mediterranean gastronomy, one of the healthiest in the world? Or that Catalan people are more likely to pair cheese with a glass of chilled cava (the Spanish sparkling wine) than a slice of chorizo with Rioja Wine? On our 3-hour walking food tour through The Gothic Quarter and La Barceloneta you’ll get to taste what makes this city’s gastronomy so special and unique within Spain. Through numerous foods and wine tastings at 5 authentic Bodegas (old taverns) and Tapas Bars, you’ll taste delicious tapas with different type of wines, immerse into the history and traditions of genuine places, get into a bunker and sample the most iconic Barceloneta tapa: Bomba; and you’ll master the art of fer vermut (the way locals socialize). As well you’ll experience the neighborhoods’ bohemian and eclectic vibes like a local. Come join us for an unforgettable evening of tapas, drinks, and fun in Barcelona! Walk away from touristy areas, uncover the old-time charm of Barcelona Bodegas and taste their culinary delights and old fashion wine drinks. Join us for this unique food tasting tour in Barcelona. During the three-hour, guided tour will visit the beautiful districts of Barcelona such as El Poble-sec and Sant Antoni. We ... morewill also visit five traditional family-owned restaurants starting from the market stall to a tapas bar and elegant Barcelona restaurants. The culinary walk begins at the well-known Sant Antoni Market where you will delight in fresh, sumptuous tapas paired with sparkling Spanish wine, Cava, and Vermouth. We will also have an opportunity to taste a variety of the famously healthy Mediterranean cuisine such as crema Catalana and cod pastries made with traditional ingredients. The food tastings are enough for a satisfying lunch and are all included in the ticket price. Appreciate the architecture, culture and the history of Barcelona as you stroll through the amazing streets like a local. Our knowledgeable local tour guides will help you explore the different landmarks and exquisite modern architecture of the remarkable Barcelona neighborhoods. On this food tour, you will explore the historically significant towns of El Poblesec and Sant Antoni and enjoy how they have integrated electricity, and industries into the present life. As you enjoy the exciting stroll our local guide will enlighten you on how the Barcelona’s neighborhoods have become a foodie haven. 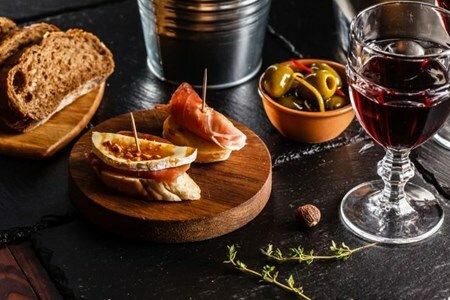 This guided food tour is ideal for both locals and tourists willing to sample homemade tapas and enjoy a refreshing drink from friendly storekeepers and business owners. View some spectacular architecture, and learn ancient facts and discover insights into Barcelona captivating neighborhoods. Additionally, you get to determine how the healthy Mediterranean lifestyle can be exercised at a glance. 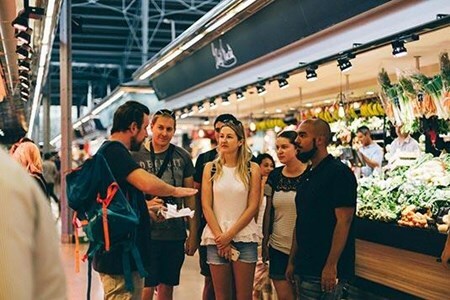 The Poblesec and Sant Antoni Food Tour in Barcelona is also an excellent activity for team building experiences, bachelors’ parties, birthdays or as a gift idea to enjoy time with friends. Learn why fish recipes with a century history are still top gourmet dishes and devour them. Become a wine-tasting expert by knowing how to identify a good wine at any restaurant or shop, and learn important food pairing techniques from our local wine expert. Enjoy the "fer vermut" a local tradition wine in a stylish bar where food is paired perfectly. We welcome you to Barcelona, the city with a culinary tradition of sweets, pastries, desserts, and candies, dating back to the medieval days. 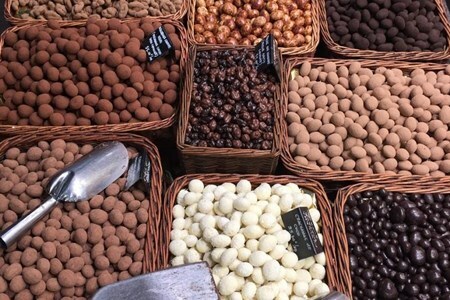 For centuries Barcelona was the first ... moreand major gateway of chocolate to Europe. Major festivities and traditions of the Catalan culture are directly associated with special sweet affairs that have been passed down from generations and are evident in every Catalan home to date. This Sweets Lover Tour starts in central Plaça Catalunya and the route roams through the alleys of the old city, stopping at the adorable and scenic El Born district. You will indulge your sweet tooth with panellets, turrón, regional chocolates, churros, gelato, carquinyolis, crema catalana, artisan caramels, bonbons, and so much more. We will take you on a journey through the secrets, facts, tastes, and little side stories relating to the traditional sweets, and the surprising and unusual new generation of artisanal delights. Bonus: the funniest culture and history walking tour! Come and join us on this memorable, intimate and unique, Barcelona gourmet tour that offers you a spectacular journey into the very core of cooking. 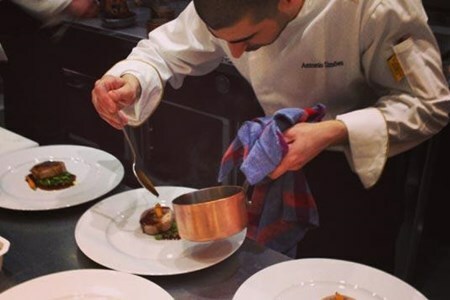 You will gain access to the most ... moreexclusive restaurants in Barcelona. It is an exquisite and fantastic fine dining experience suitable for food lovers in the pursuit of the essence of the top culinary attractions in Barcelona. Barcelona is a can't-miss destination for gourmet foodies, as well as a paradise for foodies of all ages, brimming with special influences, ingredients, traditions, and flavors. You will enjoy an intimate and unique opportunity where you immerse yourself in the delights and sights of Barcelona like a local on this gourmet escapade. You will feel like a local in Barcelona's most genuine locations as you witness the real soul of the city on a 3-hour tour. Afterward, you will enjoy a private dinner in a high-rated culinary restaurant in town. You will be picked up by your private guide at your hotel. He will lead you to our first stop for an appetizing and refreshing cocktail. You will discover the fundamentals of our tapas culture in an intimate and colorful setting at the second stop. You will indulge in a must-do experience where you enjoy some regional appetizers, in an authentic bodega. Finally, we will head to an upscale neighborhood of Barcelona where we will dine at one of the most captivating restaurants in town. This gourmet tour will surely be a remarkable culinary experience. We welcome you to a walking tapas tour designed for lovers of good food! 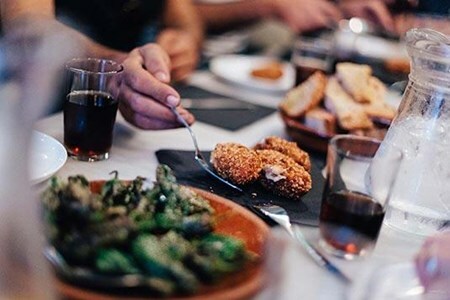 This tapas tour is suitable for foodies wishing to sample the local cuisine as well as those looking to enjoy ... moretheir stay in Barcelona as they have fun away from the tourist track. During this tapas tour in Barcelona, you will enjoy living in the city like a local! It is an evening tapas tour of Barcelona which will give you a very laid-back experience. It consists of several stops, which includes a gastronomic dinner in the Eixample district of Barcelona. We collaborate with a small group of tapas restaurants renowned for serving the best tapas in Barcelona. They serve hot and cold appetizers paired with snacks. Our first stop is in a local after-hours bar or restaurant, famous with the people of Barcelona for its nice ambiance. It is here that we will start the tour with some appetizers and drinks. You will familiarize with the basics of our dining culture. We will continue enjoying appetizers at our second stop. However, they will be quite different from the ones at our first stop. We will taste heartier, rich tapas paired with classic drinks that form the identity of the Catalan and Spanish culture, highly valued by the locals. This ultimate tapas experience is a true gastronomic and gourmet dinner. Food Lover Tour has access to some of the must-see and most-coveted restaurants in town. All you need to do is sit down, relax as you enjoy a bona fide culinary adventure for foodies. This experience includes the cream of fresh local foods, wine pairings, seasonal meals, and the best company on this tapas tour, in the city of Barcelona. We welcome you to an authentic tapas bar crawl experience as you enjoy delicious local foods. 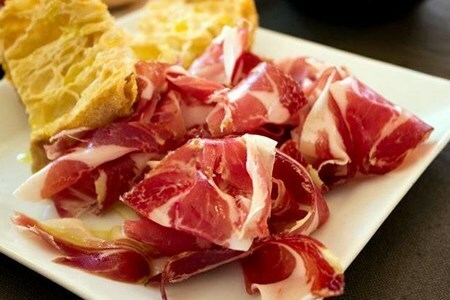 You will enjoy the best food in town on this entertaining foodie adventure, the Barcelona ... morepicoteo. You will take a short stroll and a historical tour through some of the city's ordinary neighborhoods. You will discover how people live, eat and do picoteo in Barcelona, as you interact with the locals. 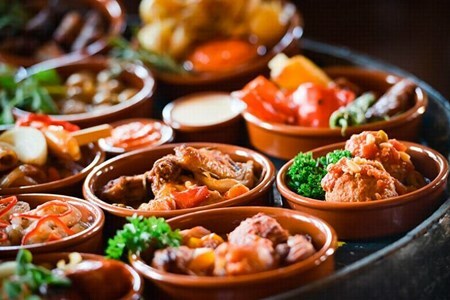 The genesis of the word "picoteo" is derived from the verb "picar," which simply means eating little bites from assorted shared plates, also called "tapeo," (tapas crawl). 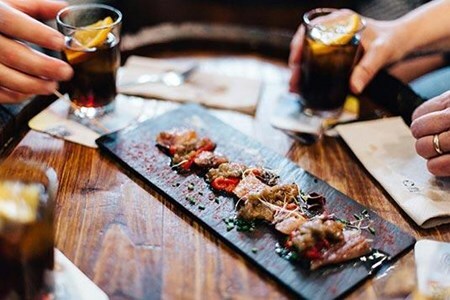 It is an early evening tapas tour tailored to be discovered over a 3-hour delicious adventure that showcases authentic and popular restaurants and bars in Barcelona in terms of local drinks and food. You will see a rare side of Barcelona picoteo, where you will savor the centuries-old heritage of local food culture, amazing foodie sanctuaries, and vibrant tapas bars. This tour is an amazingly fun and educative experience as you enjoy the company of your local tour guide. The professional guide will share their insider knowledge, tips and their passion for the city. They will take you to their area of residence in the city they love, away from the congested tourist trails. The Picoteo Lover Tour is a true Mediterranean lifestyle adventure, where you enjoy a delightful 5-stop gastronomic experience. We invite you to accompany us as we eat the market! This is a real culinary experience and adventure where you completely immerse yourself in a symbolic Barcelona food market. We will ... moreget the chance to enjoy the finest Spanish tapas combined with a sweet and delicious surprise! This tour is ideal for food lovers of all ages as it offers an opportunity for all to participate in the local food culture. The tour includes a visit to an actual Barcelona food market, where you will savor gastronomic tapas at four stops. You will then take a stroll through the heart of the Eixample, culminating the walking tour with a delicious dessert that will give you a lifelong memory. This midday activity can be programmed prior to or after other plans and is ideal for the whole family! Exploring the Barcelona food market is a crucial component of the local culture and its culinary stature. These Catalan markets are filled with life and color and they supply restaurants and homes with fresh and seasonal produce that comprises the foundation of its cuisine. The diverse food stalls have been managed by specific families for generations. These food stall owners are real experts and a source of information for shoppers. This Barcelona day trips will give you a chance to spend the day learning about tasting the local Catalan wines sourced straight from a nearby winery. The wines will then be paired ... moredeliciously with food giving you a chance to experience Catalonia gastronomy. This excursion will take you away from the city, all the way into the heart of the neighboring wine country. This experience is a superb and unique way to utilize the day! 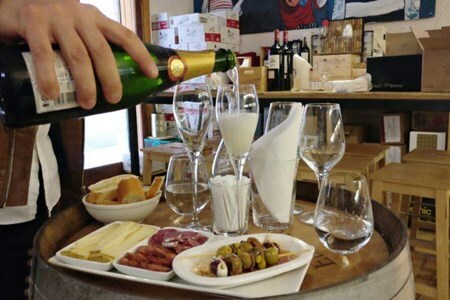 This day trip will start in Viladellops, a boutique winery which does not rely on advertising. Marketing is done through word-of-mouth from loyal Wine Club members, as they believe their fine wines advertise for themselves. This trip is ideal for novice wine buffs, fun-loving, as well as the established wine connoisseurs. This winery is friendly to kids, and pets (dogs), which makes the excursion favorable for the whole family. You will tour the museum they have established, and which is dedicated to the family's heritage and Catalan history. We will taste 3 wines from the winery followed by lunch in a local farmhouse. Lunch will be followed by a 10-minutes drive to the second stop, located deep in the caves of ArtCava. Here you will meet expert winemakers whose mission is to craft some of the Penedes' fine sparkling wine. Their scenic cave tour is part romance, part gothic, for an all exceptional wine-tasting experience. Immediately you have selected your preferred cava from the tasting, we will lead you to the elaboration room for a chance to disgorge your own bottle by yourself. This will include labeling and corking. You will be allowed to keep the bottle of cava, to take home with you as a souvenir to remember the magical ArtCava as well as the Wine Lover Tour. Consists of 3 stops i.e. 2 stops at an awarded wineries and 1 stop at a typical restaurant in the Penedès locality for a chance to bottle up your own cava!